Hog farmers near the North Carolina coast have been hurrying to lower waste pools as Hurricane Florence nears the East Coast. The open-air waste lagoons pose a risk to water quality if hurricane rains cause the pools to overflow, as reported by NPR. While most of the hog houses themselves are safe from flooding, the paths leading to them and the waste lagoons face a direct threat, especially if heavy rains cause the sides of the lagoon walls to erode and collapse. 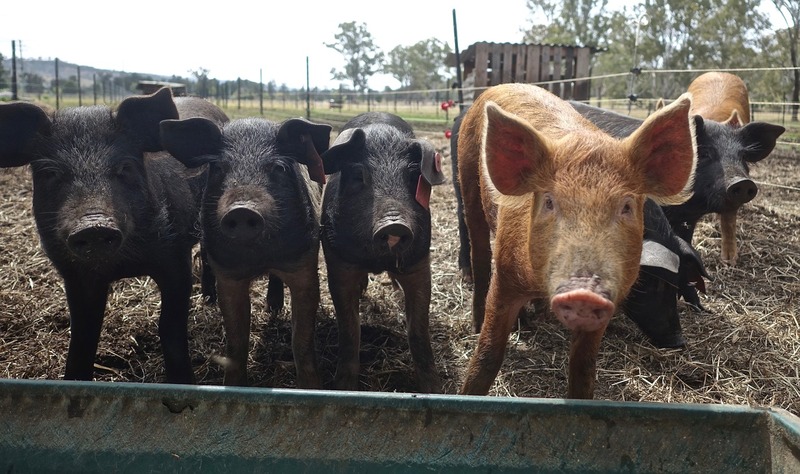 Hog farmers have been pumping liquid waste out of the lagoons and spraying fertilizer on nearby fields in order to create more room in the pits for potential rainfall. If hog farmers in impacted areas accomplish this, the waste lagoons should be able to handle almost 3 ft of rainfall, experts at North Carolina State University said. According to NPR, there used to be more hog farms in the North Carolina floodplain, but following Hurricane Floyd in 1999 the state bought out some hog farmers. Additionally, some waste lagoons flooded during Hurricane Matthew in 2016 but no lagoon walls collapsed.